Following feasibility studies, Horwich Parkway was identified as a good site for the installation of a wind turbine. The site was chosen because its location is not a high urban density areaand offered good average wind speeds. 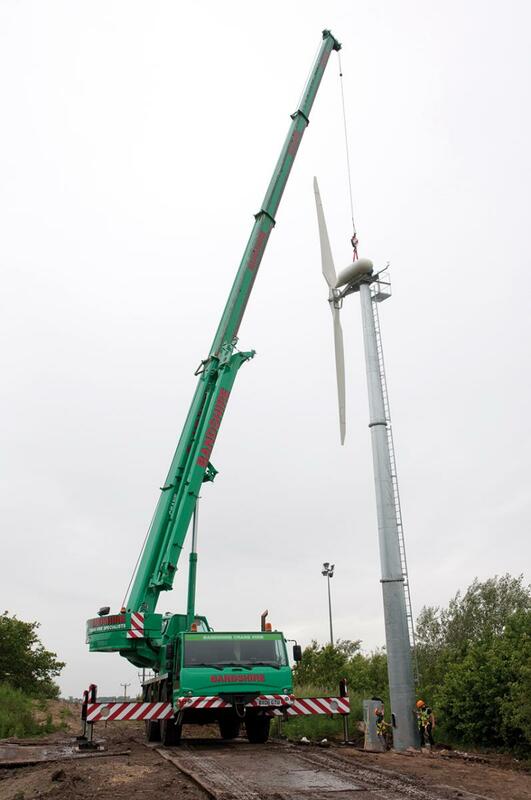 The wind turbine is a Gaia 11 kW that stands 24.8 m from the ground to the tip of the highest blade. It has a swept area1 of 133 m² and should be capable of producing over 25,000 kWh per annum. This type of turbine was chosen for its high energy output, low noise and high reliability record. Visually, the turbine is sufficiently remote so as not to produce any adverse effects on residents and businesses, and can only really be seen from passing trains. A remote monitoring link was established, allowing TfGM to see real-time data on the turbine’s wind speed and power output. 1. The swept area is an important figure for electricity generation – the bigger the blades, the bigger the swept area, which results in more energy generated.